April 24, 2016 – It’s time to start listening to space. To celebrate the upcoming launch of the three Fly Your Satellite! 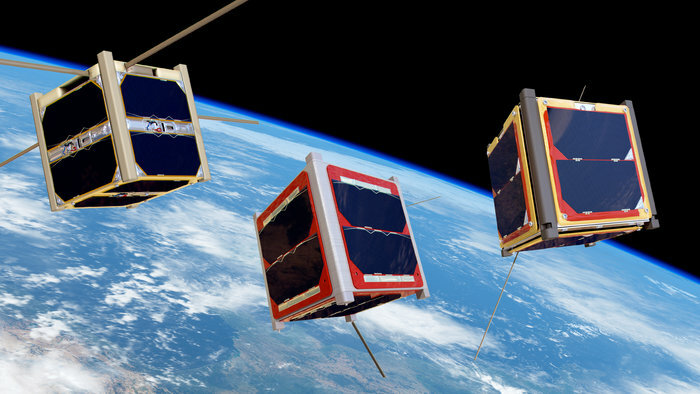 student-built CubeSats into low Earth orbit, ESA’s Education office challenges the amateur radio community to listen out for the tiny satellites. The first three radio amateurs to send a recorded signal from either AAUSAT4, E-st@r-II or OUFTI-1 will receive a prize from ESA’s Education Office. The satellites will be launched on April 24 onboard the Soyuz VS-14 flight from the European Spaceport in Kourou, French Guiana. Together with CNES’ Microscope scientific satellite, they will be auxiliary payloads in the launch of ESA’s Earth observation satellite Sentinel-1B, the main passenger on this flight. Soon after being deployed into their final orbit, the CubeSats will begin transmitting signals to Earth that can be picked up by anyone with common amateur radio equipment. ESA challenges anyone to record the signal and send it to cubesats@esa.int, and to the CubeSat team. Please consult the following links to obtain specific information for radio contact for each of the three CubeSats. For more HAM radio information see here and here. For more HAM radio information see here. More information about Fly Your Satellite! can be found here.